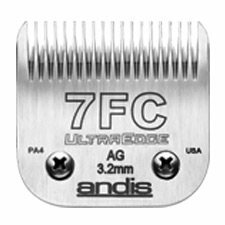 UltraEdge blade set for Andis detachable blade clippers. This blade will leave 3.2mm of hair and is a finish cut blade so will leave a smooth finish. Can be used for removal of tight matts.